“A total of 13,51,505 examinees from 9,081 educational institutions will appear in the examinations this year. 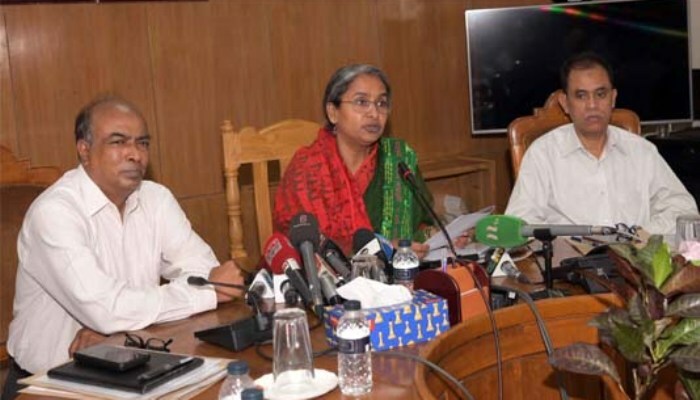 Of them, 6,64,496 are male and 6,87,009 female students,” Education Minister Dr Dipu Moni told a press conference at her office here. As many as 13,11,457 examinees including 6,92,730 male students from 8,943 educational institutions took part in the examinations last year, she added.